Below is the next “Scratch the Surface” EJ Podcast. 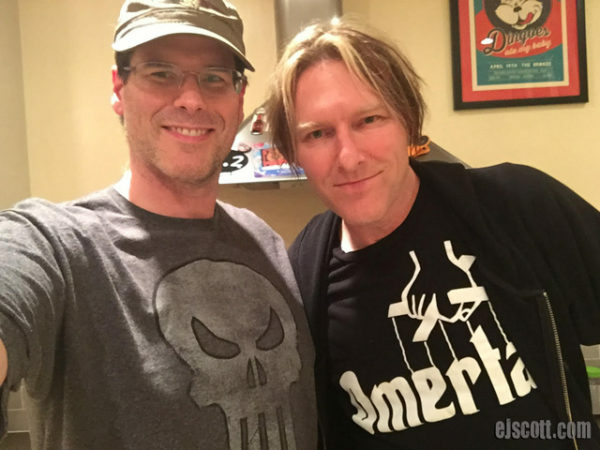 EJ has as his guest today Composer, Tyler Bates. Tyler has scored more than sixty feature films, hundreds of episodes of television, major studio video games and artist records. He has more than twenty commercially released film soundtrack albums, several of which debuted number one at the box-office. His recent work includes Marvel’s 2014 smash hit, “Guardians of the Galaxy,” co-writing and producing iconic shock-rocker Marilyn Manson’s critically acclaimed album, “THE PALE EMPEROR.” Bates co-wrote the score for Keanu Reeves 2014 hit, “John Wick,” directed by David Letch and Chad Stihelski, which features the song “Killing Strangers,” written by Bates and Manson. source: IMDb.com.